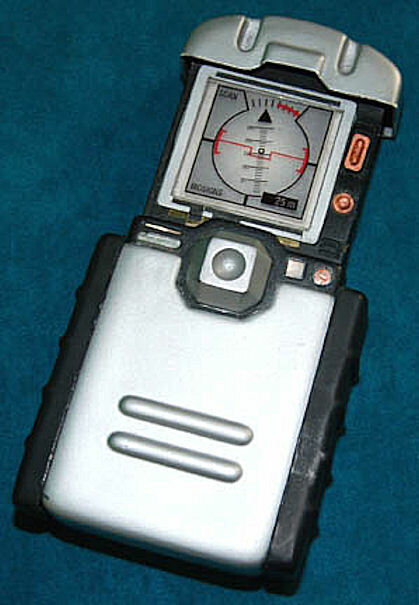 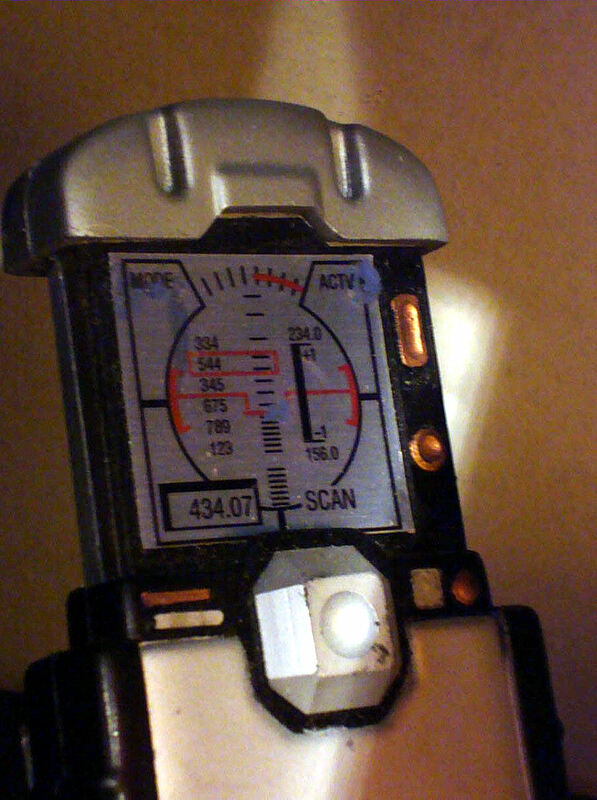 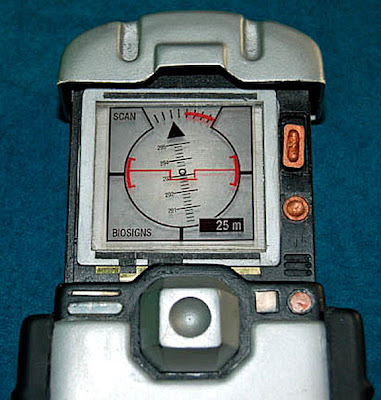 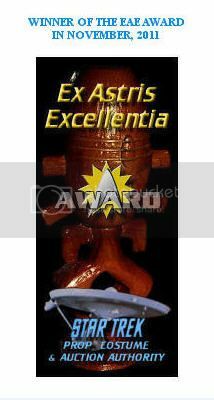 A hand prop scanner/tricorder featured in various episodes of Star Trek: Enterprise. 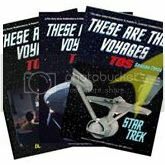 The item is a metallic silver painted prop made from molded plastic with black rubber accents and a light up 'display screen' depicting the direction of a subject. 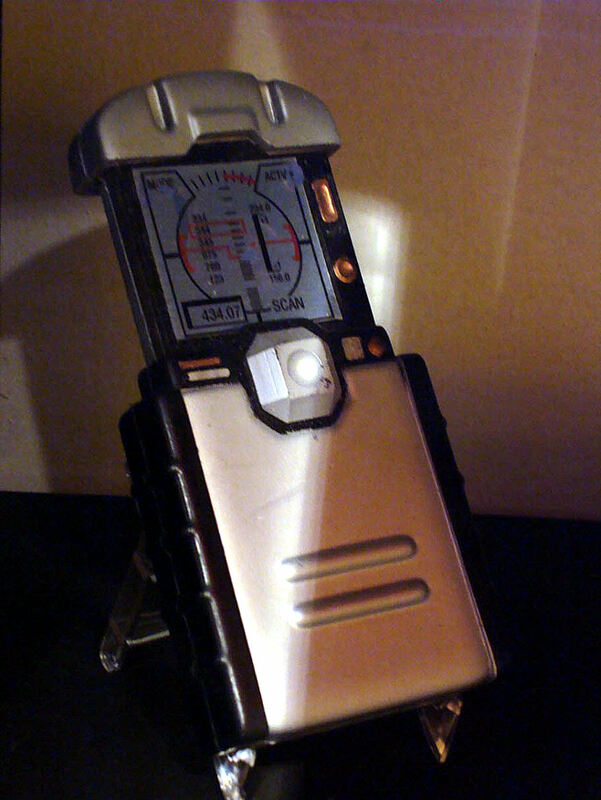 The item is powered by two 25A 9 volt batteries accessed behind the 'screen' and activated by a slide switch on the front. Likewise, the front is decorated with metallic paint and gold colored adhesive details and accents. The item 'deploys' its scanner increasing its size by approx. 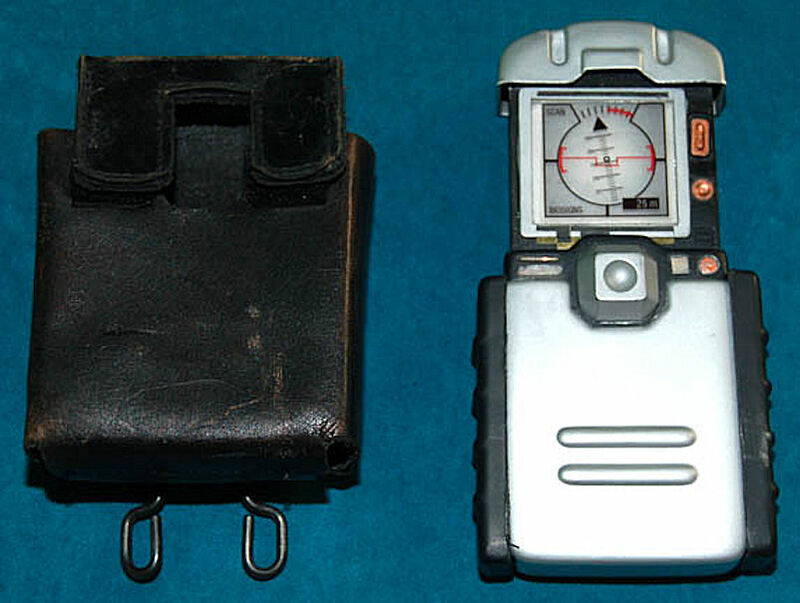 50% when a button located on the upper right is triggered, the button is hidden by a black rubber guard which is attached via Velcro. 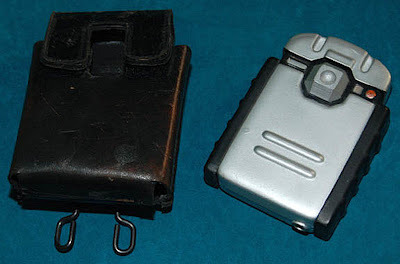 The item is also housed in a custom black leather holster with a Velcro seal flap and a 'Bianchi International' universal military holster clasp. 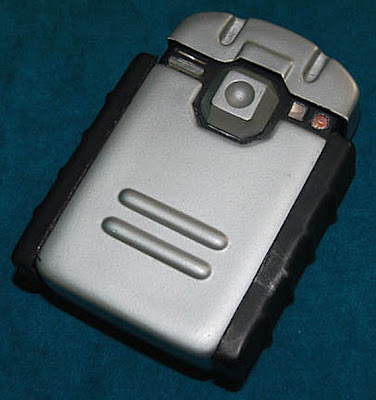 In the holster the item measures approx. 5.25 x 3.5 x 2 inches.